The Tarleton State University Veterans Association (TVA) heard about Remember Everyone Deployed (RED) and decided to implement it on campus. RED is the practice of wearing red-shirts on Fridays. RED started in Jacksonville, North Caroline, Marine Corps Base, Camp LeJeune “Home of the Expeditionary Forces in Readiness,” according to the RED website. “Tarleton does Purple Thursday and I want to start that for Red Shirt Friday. It doesn’t have to be one of our red shirts, it can be any red shirt,” said Juan Garcia, president of the TVA. The TVA met with The Student Government Association in the fall of 2018 and passed it through congress. The TVA asked the university to make Friday, Red Shirt Fridays. 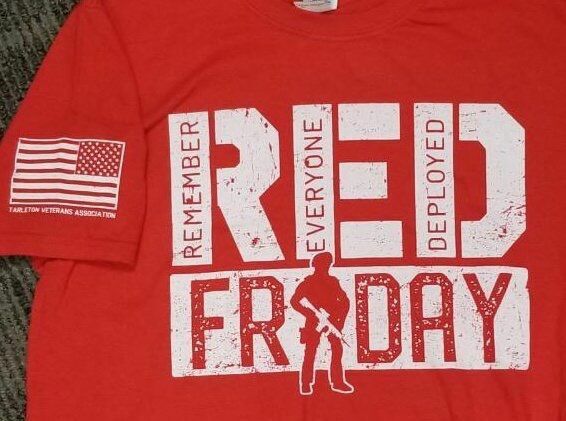 “The reason the veterans got involved with Red Shirt Fridays is because it stands for Remember Everyone Deployed. Veterans remember how that is, so everyone at school remembers who is in service and currently deployed,” said Garcia. The RED association is open to everyone: veterans and civilians. There are no dues. You can be as involved as you want to be. 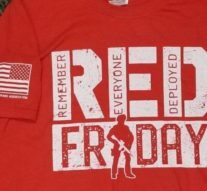 The TVA is selling t-shirts and donations can be made at www.remembereveryonedeployed.org. You can make one donation or subscribe to monthly contributions.